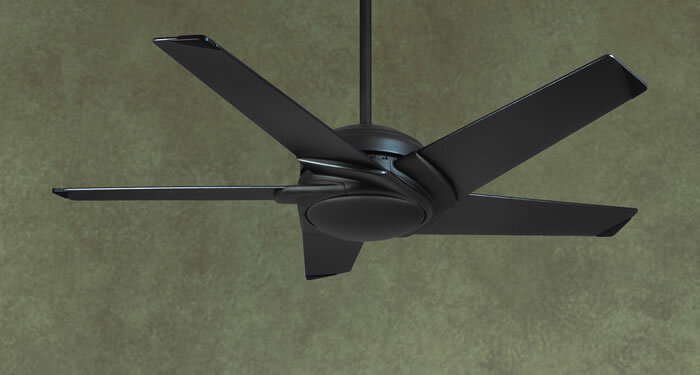 There are a multitude of ceiling fan manufacturers and there are as many methods of ceiling fan, light combination wiring. 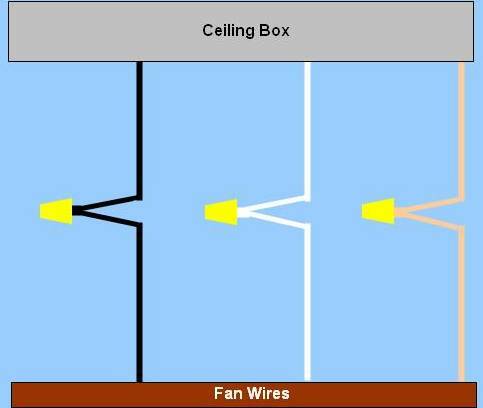 The first part of this section deals with the wiring of ceiling fans without lights, as shown in Figure 1. 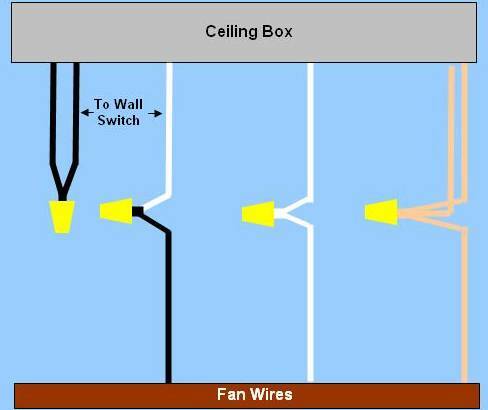 To understand how to wire a new ceiling fan and or ceiling fan light combo unit in your home you must first understand the basics of how the fans and lights are powered. Some manufacturers bring all of the wires out through the top rod of the fan allowing the installer to wire it any method imaginable. Other manufacturers make connections inside the unit to eliminate wires that would normally exit the fixture. We will start off with how the fixtures are wired in a very basic manner and then add to the complexity. A fan must be powered. It requires a live or hot lead, a neutral and a ground wire, Figure 2. The hot lead is identified by the color black, the neutral by the color white and the ground is either colored green or is bare copper. The same situation applies to a light, Figure 3. 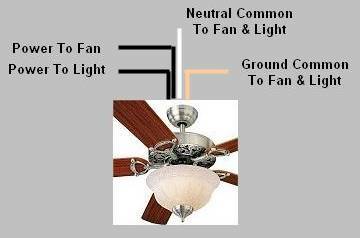 NOTE 1: Switches for the fan and/or light that are mounted within the fixture can be ignored. If wall switches are used to control the fan and/or light the switches on the fixture should be turned to the ON position. The wires that exit the ceiling fan/light fixture must then be connected to the wires found in the electrical box. There are many configurations possible. 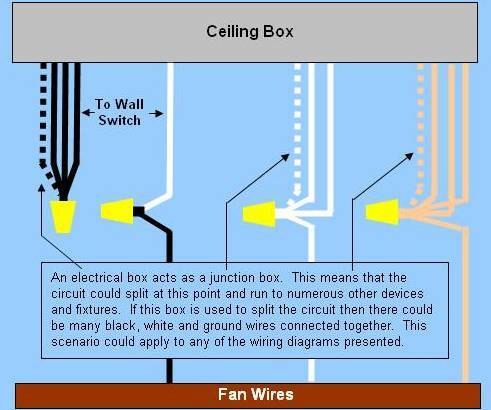 The following diagrams highlight the most common wiring. 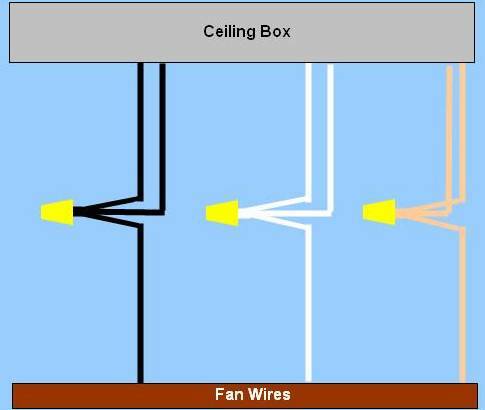 For the purpose of the diagrams we assume that if there is only one wall switch it powers the light and the fan is controlled by a switch on the fixture. 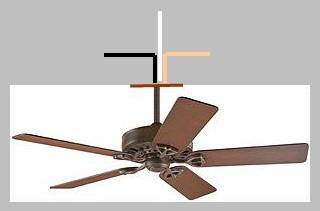 The reverse is possible by changing the wire in the fixture identified as fan to light and the wire identified as light to fan. The wall switch can be an ON/OFF switch, a variable speed control or dimmer. There is no difference to the wiring.